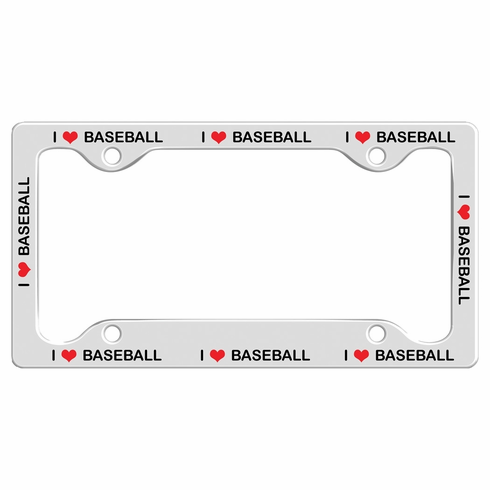 This I Heart Baseball license plate frame makes a statement about how much you love baseball! ~ Universal size 12 1/4" x 6 1/2". ~ Durable flat plastic license plate frame with shiny photo image on the front.